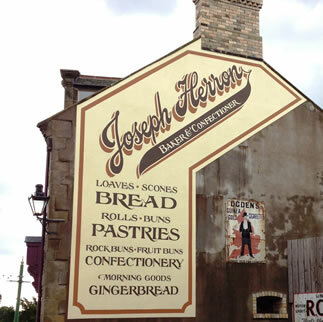 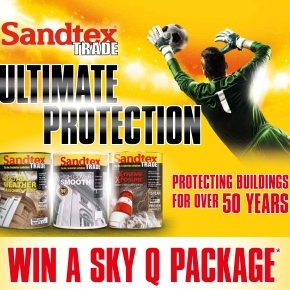 There may be several brands in the construction industry boasting a 50 year pedigree, but few claim to serve the very same purpose today as they did when they first appeared in the market. 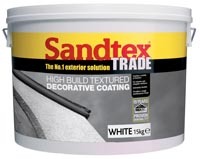 Sandtex® however has stayed true to its origins, and continues to serve the same industry needs in very much the same way as it did in 1961, ie protecting and decorating the nation's external substrates using a system approach. 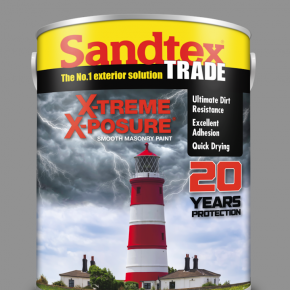 Over the decades Sandtex has gone from strength to strength and the product portfolio has benefitted from extensive investment in research and development, and features state of the art coatings technology. 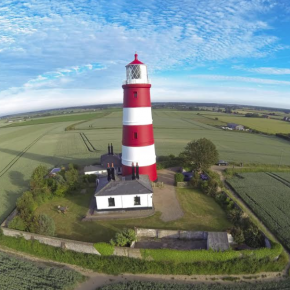 That's why you will find BBA accreditations and anti-carbonation certificates, which ensure our formulations include the most durable, weather resistant and lightfast products money can buy. 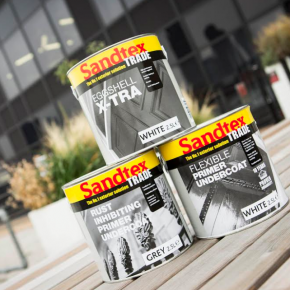 Sandtex Trade was recently specified to provide its trims system for a Central London office block which has undergone refurbishment. 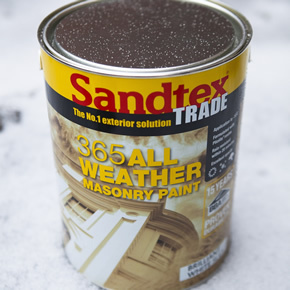 The dark nights may be drawing in but the unique qualities of Sandtex Trade 365 All Weather Masonry Paint mean outdoor projects can continue, even in these colder months. 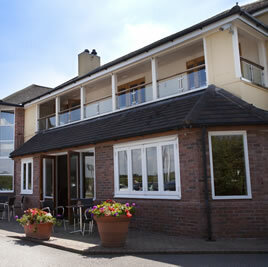 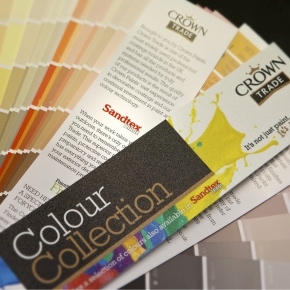 The Sandtex Trade is now featuring its thousands of shades int he Crown Trade colour fan deck. 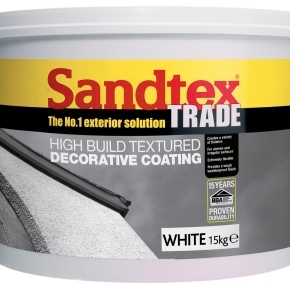 ‘This is Sandtex Trade takes specifiers through a variety of subjects to provide a complete picture on exterior painting. 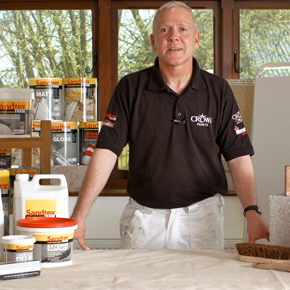 Twelve homes in Birmingham were identified for redecoration and given a fresh look over winter by the Family Optima Community Association. The short, informative film looks at the attributes, application factors and performance of Sandtex Trade’s 365 All Weather Masonry Paint. 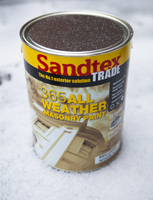 Sandtex Trade 365 All Weather Masonry Paint has been developed with a Pliolite Resin formulation designed to combat difficult weather conditions. 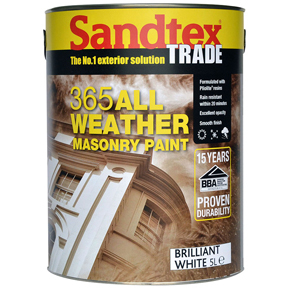 Formulated with late seasonal work in mind, Sandtex Trade 365 allows specifiers to continue external decorating into the autumn months. 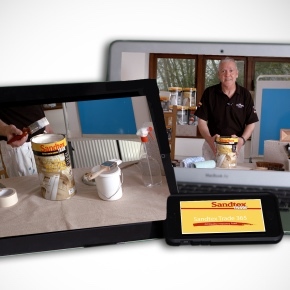 In the fourth episode of ‘This is Sandtex Trade’, Kevin O’Donnell looks at how Sandtex Trade’s system approach can deal with uneven surfaces. 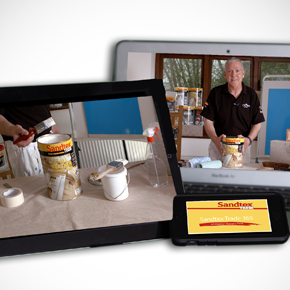 The third video in the series sees Kevin O’Donnell demonstrate solutions for wood, metal and PVC-U using Sandtex Trade’s range of coatings and finishes. 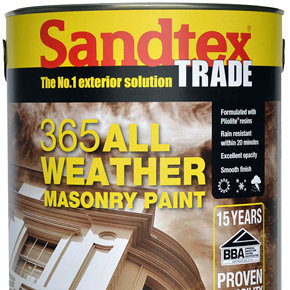 Sandtex Trade 365 All Weather Masonry Paint is specially formulated for adverse weather conditions, so external decorating projects can be scheduled for early springtime. 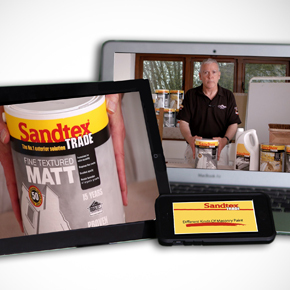 The second episode of ‘This Is Sandtex Trade’ focuses on the brand’s wide variety of masonry paints and how different formulations can create distinct finishes. 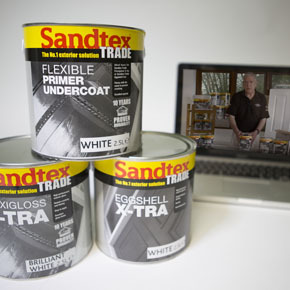 Sandtex Trade has launched a new five-part video series to support specifiers looking for more detailed information on exterior painting. 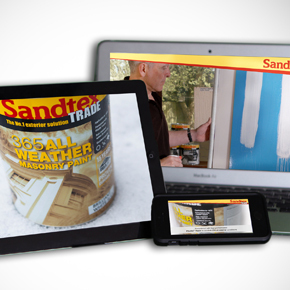 Sandtex Trade has released a new video showcasing its 365 All Weather Masonry Paint. 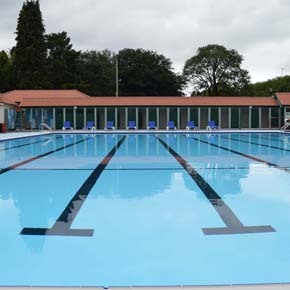 Sandtex Trade’s high performance Eggshell X-tra finish has been specified for the restoration of a Grade II listed lido in Pontypridd, South Wales. 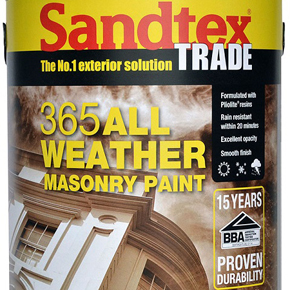 Sandtex Trade has released a series of short videos showcasing its 365 All Weather Masonry Paint, which has been formulated for use in adverse weather conditions. 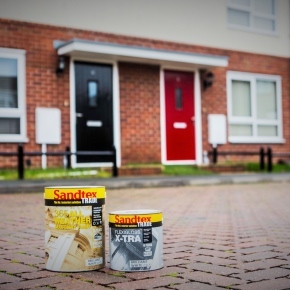 Sandtex Trade’s 365 All Weather Masonry weather resistant paint has been used to refurbish 276 properties in the middle of the Cumbrian winter.